HAVE A PROMO CODE? USE ANY VALID DISCOUNT CODE IN THE PROMO CODE BAR AFTER BUILDING YOUR QUOTE. In a few simple steps with our easy to use quote builder! 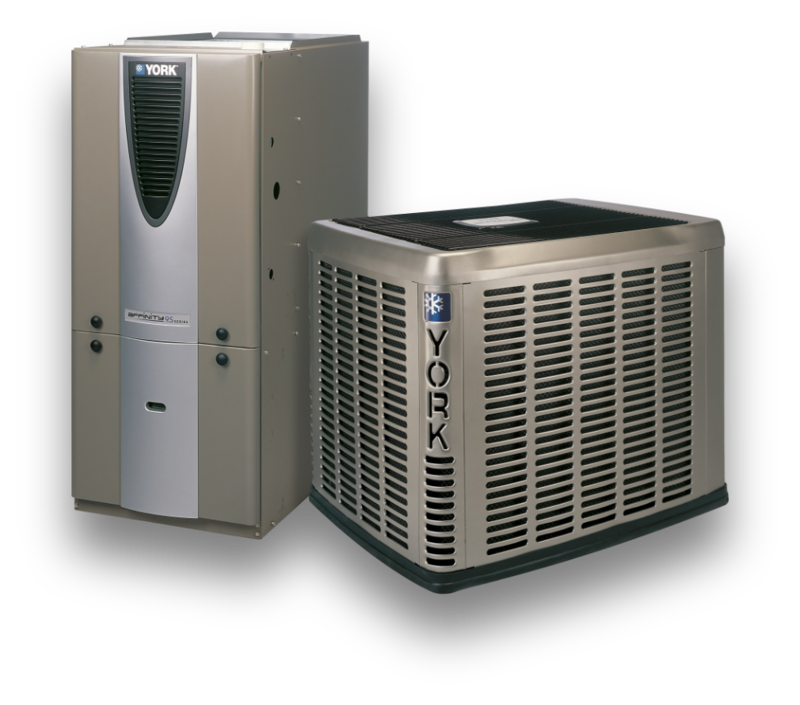 Begin by selecting a category of square footage closest to that of your property, then follow up by choosing specific HVAC services, product types, accessories, warranties, and much more. Shortly after building your quote, we’ll reach out and schedule a FREE, no obligation, in-home assessment to ensure the product you have selected are the best match for your home! Ready, set, GO! Our detailed quote builder is unlike anything you’ll see elsewhere. Simply complete the form, and we can send a technician for a free, no-obligation in-house evaluation. Why does Comfort Hub only work commission-free? Because it gives our clients confidence in the fact that we are in it for them, not for us. We believe in reducing our environmental impact via carbon emissions by participating in the Rideau Valley Conservation Foundation C02 offset program. All the work and service we perform is warranty-assured (warranties vary). You’ll always have the choice to look at choosing extra warranty options. Comfort Hub makes it a point to move beyond stayed practices of non-personalized service to guarantee your satisfaction and comfort for years to come. Life is expensive. We provide you with flexible options to be able to pay for your services over a period of your choosing with our affordable financing options. If you’re looking for a breath of fresh air when it comes to enhancing your home comfort, we’ve got you covered. Our experienced team specializes in everything from complete repairs to installations and maintenance. Regardless of whether your furnace has broken down, your central air system is outdated and costing you money, or you just want to know how to reduce your energy usage and maximize savings, we can deliver the ideal solution free of hassle. Our mission is to maximize your comfort and satisfaction by taking a personalized approach to delivering premium-quality HVAC services. Using the latest technologies, attention to detail, and highly attentive care in every job, we make it a point to move beyond stayed practices of non-personalized service to guarantee your satisfaction and comfort. Contact us to learn more or book your installation today. We look forward to helping you breathe easy for years to come! Stay Up-To-Date on the Latest Promotions and Save Big! You select the products, add-ons, and warranty that fits your budget and receive your quote instantly! come to your home for a FREE, no obligation evaluation to ensure the products you’ve selected are the best match for your home. Schedule your installation and the same Comfort Hub specialist you met with will install your new products! All of our technicians are employees of Comfort hub and we guarantee our installation is the cleanest and most professional in Ottawa! Carbon neutral – Comfort Hub is a company dedicated to sustainability. We believe in eliminating our environmental impact from carbon emissions by participating in the Rideau Valley Conservation Foundation CO2 offset program. By 2020, Comfort Hub will have planted over 6,000 trees in the Ottawa area. Comfort Hub is an innovative pioneer in the home comfort industry – we believe you deserve flexibility, transparent pricing and an all-around fair deal that delivers to all of your expectations. By choosing Comfort Hub you will find what you’ve been looking for: great value, high quality products and dependable service from start to finish. 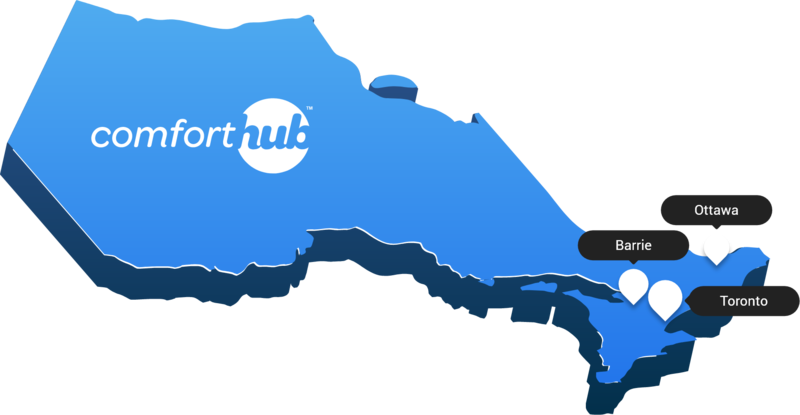 Comfort Hub online – heating and cooling made easy – choose the products you want and the warranty you need. Comfort Hub gives you the convenience with your quote being generated within minutes. We take one step further by sending a licensed technician to meet with you and ensure the products you selected are suitable for the size of your home. Hassle free administration. From warranties and rebate registrations, to flexible payment options and 24/7 emergency service. Commission free! When you shop ComfortHub® you can be confident that your technician has your best interests in mind and is not being rewarded for selling items you do not need. ComfortHub personal identification and all required personal trade licensing. Performance guaranteed. Your Comforthub specialist will ensure that your heating and cooling equipment preforms at maximum efficiency by utilizing industry standard load calculation software. Respect to your home. With ComfortHub, you can trust that your home is in safe hands. Our 35 point post installation checklist ensures no small detail is overlooked and that your home is returned to its original state. Satisfaction follow up. At ComfortHub it is never a final sale. Upon project completion, our team will schedule a follow up with one of our administrative team members to ensure complete satisfaction.